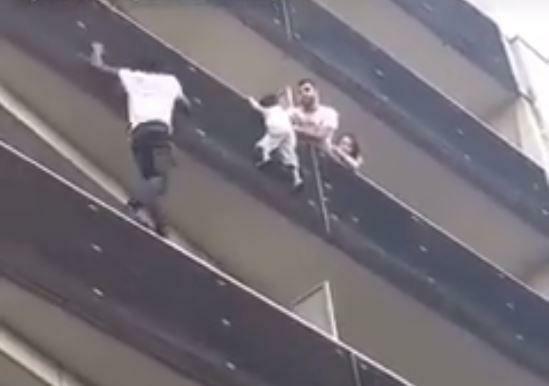 PARIS -- A young man from Mali is being praised as a hero after he scaled an apartment building to save a child dangling from a balcony. President Emmanuel Macron on Monday rewarded the young man's bravery with an offer of French citizenship and a job as a firefighter. Gassama climbed five stories up the apartment building, moving from balcony to balcony, and whisked a 4-year-old boy to safety on Saturday night as a crowd below screamed. His actions went viral on social media, where he was dubbed "Spider-Man."